If a reliable survey could be done on what causes the most stress in the lives of individuals and families across the world, it seems certain that financial issues would rank somewhere near the top. Whether its living in a state of constant debt, or simply having no good system in place to track what happens to your finances, the stress that can come from economic mismanagement is very real. 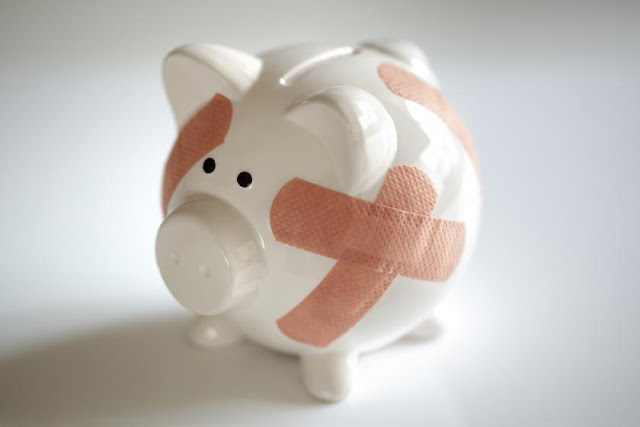 Here’s a look at a few ways to keep yourself free from financial trouble. Living on credit is a sure-fire way to cause trouble for yourself. While certain types of debt such as student loans and mortgages come with the territory, you should always consider debt to be the absolute last resort in most of your dealings. If you do find yourself in the position where you absolutely must draw a loan, be certain to stick with a trustworthy signature loan service such as signature.loan, rather than a company that demands massive collateral. Only dealing with money you actually have is a great way of living within your means and maintaining control of your financial destiny. People who live paycheck-to-paycheck are just barely living within their means, which is a bad place to be. This kind of lifestyle means that any unforeseen expense has the power to wreak havoc on you and throw your financial wellbeing into the dirt. People who live in perpetual debt are living above their means, and this is an infinitely worse position to be in than the first group. Here, stress, trouble, and poor financial habits are endemic. It can seem that you’re in a hole with no way of getting out. People, on the other hand, who budget their expenses wisely and are able to save a decent amount of money every month, are living below their means. This lifestyle is the key to stress-free financial management and happiness. Do whatever you can in your own life to cut excess costs, live below your means, and put aside some savings. Knowledge is power, and having a clear plan for what to do with your money is, fundamentally, the key to making wise financial decisions. The thing about money that hasn’t been assigned a purpose, is that it can so easily disappear. If you know that you’ve budgeted $100 for a night out, then you’ll feel motivated to spend no more than that $100. If you just have money in your account, but no clear vision of what each dollar is supposed to be for, however, you may easily spend twice as much on that night out. By the end of the month you’re likely to find yourself out of money with no real idea of why that happened. Think carefully about which items you really need to have in your life, and which you simply buy because you were lured in by a pretty advert, or want to status-signal to your friends. What’s more important? Impressing people with a flashy new financed car, or enjoying the peace of mind that comes with financial security?